GMT Games’ new regimental level boardgame of the combat in Normandy in 1944 is now available. 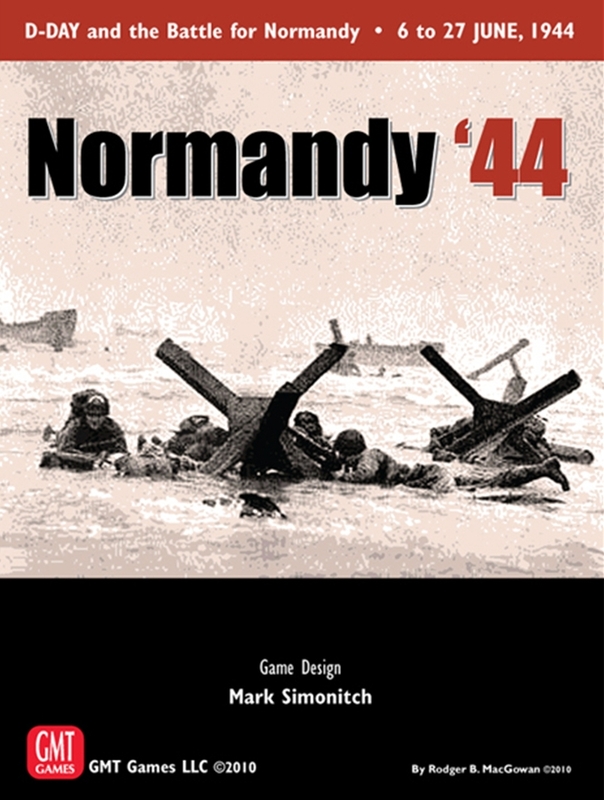 Normandy ’44 covers the D-Day invasion itself and the following three weeks of combat. It makes a great alternative to the five-map monster game The Battle for Normandy, but it does not cover the southern battles and Operation Cobra like that game either. Normandy ’44 has GMT’s typically great components with an attractive map and nice looking counters. You can get the rules in PDF. There is now a VASSAL module and Cyberboard module available.